Our uplands provide many benefits: supporting wildlife, reducing greenhouse gas emissions, storing water and reducing downstream flood risks, providing a cleaner water supply, and supporting much of our sporting management. The Scottish Government is funding a major programme of peatland restoration and in the National Park there is dedicated support for making applications. Muirburn is an important management tool when carried out properly by skilled practitioners in the right conditions in the appropriate area. Scrub and native woodland adjoining moorland can add to the diversity of habitats and make a significant contribution to the biodiversity of the uplands. The arrangements for deer management in Scotland reflect the fact that deer can freely cross boundaries between estates, farms, forests and landholdings. For red deer in particular a collaborative approach to deer management has developed with the formation of Deer Management Groups (DMGs), of which there are now more than 70 in Scotland. DMGs mostly cover the Scottish Highlands, but are now becoming established in other areas where there are large commercial forests. The same collaborative approach is also emerging for the management of roe, sika and fallow deer in lowland areas to prevent damage to land and reduce the risk of road traffic accidents. DMGS, which are voluntary, cover areas where there are distinct herds of deer and may range in size from 20,000 to 200,000 hectares. They can include as few as 3 or as many as 30 different landholdings. Groups are often subdivided into sub-groups for practical purposes. The estates or landholdings within each DMG area are individual rural businesses, providing employment often in remote communities. Estates are often involved in many other activities as well as deer management – for example farming, forestry, fishing, shooting, and the provision of tourist accommodation and other facilities. Many are privately owned, while others are in public or community ownership. Estates are often owned for enjoyment, for the satisfaction of development and improvement; also for the provision of recreation and sporting activities such as fishing, shooting and deer stalking. An increasing number of estates have been purchased by membership organisations including The National Trust for Scotland, The Royal Society for the Protection of Birds. The principal land ownership objectives of these bodies may be different from those of traditional deer management – for example, the regeneration of the Caledonian Pine Forest, or the management of wildlife or special natural heritage features. Habitat regeneration is also the primary objective for an increasing number of private estates. Where potentially conflicting land uses occur on neighbouring properties there is a role for deer management groups in assisting in the negotiation of shared deer management policies that meet the reasonable requirements of all members through a process of compromise. In all cases where deer are present, management by culling is necessary. This is undertaken by professional wildlife managers, traditionally known as ‘stalkers’, who have unmatched experience in working with wildlife in Scotland, and a close knowledge of deer in particular. Some rural land uses in Scotland are subsidised, but deer management is not. The main costs relating to the employment of professional stalkers are usually met by the letting of stalking to visiting sportsmen, and from the sale of venison. Deer stalking as an established form of tourism also brings substantial benefits to rural communities, in the form of income for hotels, guest houses, shops, game dealers and other local businesses. In addition, non-tourism related deer management expenditure, for example on fencing and the supply of specialist equipment generates significant economic activity. 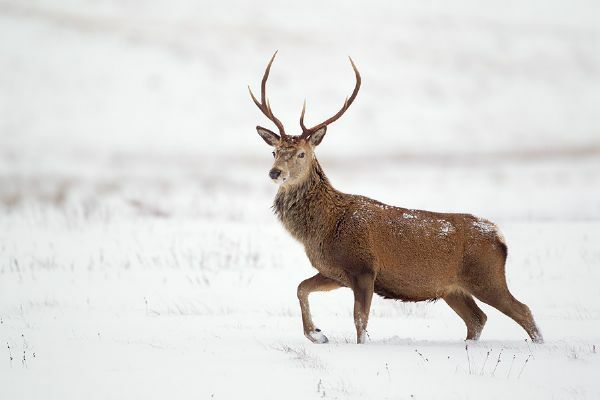 Total cost of all deer management in Scotland amounted to £105m in 2005. Two-thirds of this spend is retained in Scotland. Deer management in Scotland supports the equivalent of 2520 paid full time jobs in the country. The value of this employment for the Scottish economy is £70.4m. The average operational expenditure on deer management per land holding was £54,468 per annum of which 47% was spent on staff.